Kids like night lights because they protect them from monsters under the bed and in the closet. Adults like night lights too, but for different reasons. We actually like ours with monsters, or in this case robots. 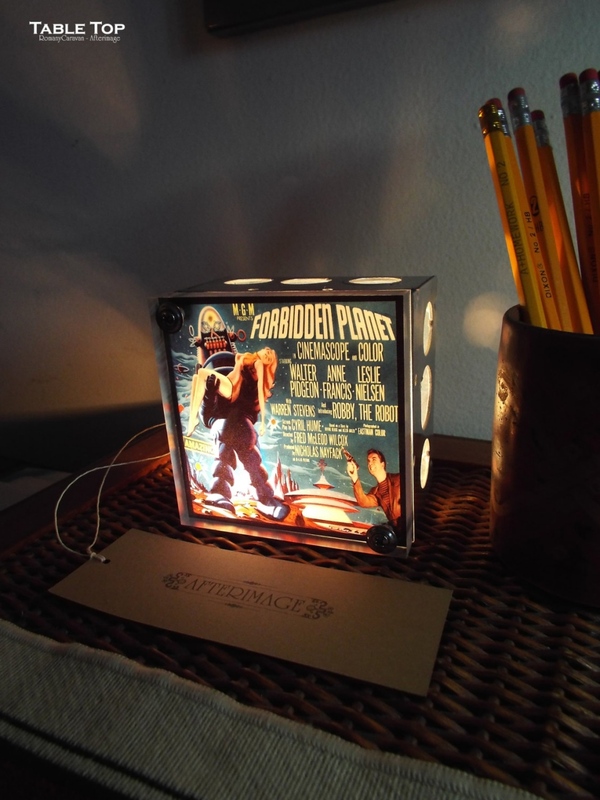 This super cool looking Forbidden Planet night light is from Etsy seller RomanyCaravan. 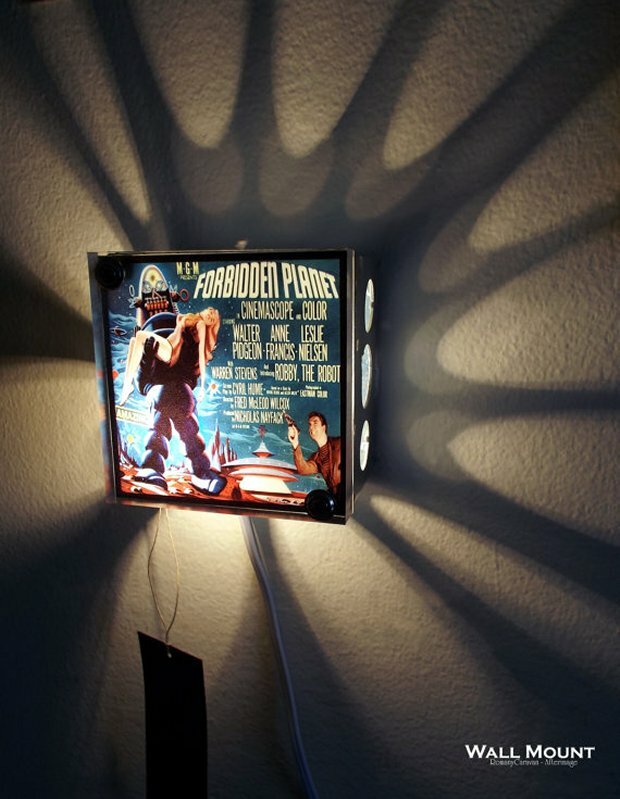 It’s the classic movie poster all lit up and in miniature. 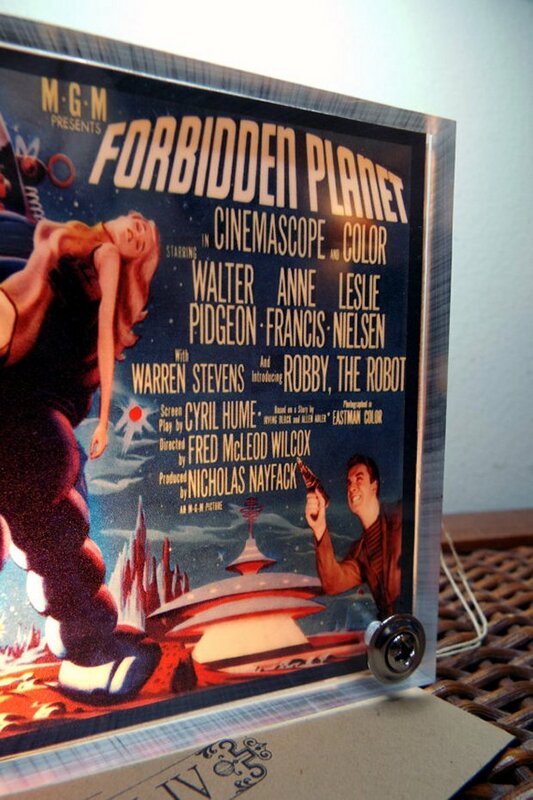 It measures 4″ w x 4″ h x 2.75″, and would look great in any geeked-out man cave or bar. It will still protect you from monsters. Especially those of the sci-fi variety. It is just extra cool and shiny because we adults like that.